Is Komodo (KMD) gearing up for a 300% rally? TAC (The Advertising Currency) is a utility based currency designed specifically for usage within the Open Source Marketing Platform. 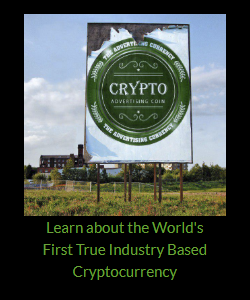 The goal of TAC project is to create an industry based cryptocurrency that brings all forms of advertising, both online and offline, onto the blockchain while at the same time creating an industry based series of tokens to use within the advertising and marketing industries. Bruce Bates is the founder of TAC Project. The project should over time allow the entire industry of marketing and advertising to be decentralized so that no single centralized business can control the costs and pricing of advertising. Although this currency is a utility currency, as with all cryptocurrencies, they can and will be traded in open markets and the creators of the TAC project make no guarantees as to the value they may or may not hold outside of the OSMP-TAC platform. Please note the TAC tokens are not an investment. You should not expect any monetary returns from this currency nor its derived tokens. The tokens hold no actual value outside of the OSMP-TAC platform. These tokens may increase or decrease in value within our platform based on various factors as defined within the Token offering document and should solely be used for the purpose of advertising. From 1st Oct 2018, CCXNews is also accepting payments for services in TAC Token. Please contact us for more details. Thanks.